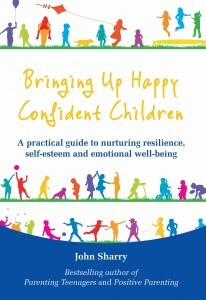 John’s latest book is ‘Bringing Up Happy, Confident Children: A practical guide to nurturing resilience, self-esteem and emotional well-being’. Purchase it for €10 including postage to anywhere in Ireland. To read about this book and avail of the offer click here.